In this post we will go through the procedure of upgrading your Windows 7 or 8 to Windows 10 using Media Creation Tool. If you haven't got the notification for reserving Windows 10, then no need to wait any further, you can simply use Media Creation Tool to upgrade it. Steps to upgrade to Windows 10 using Media Creation Tool. Step 1 : Download 32 bit or 64 bit Media Creation Tool from Microsoft or directly from here Download 32 bit or Download 64 bit. Step 2 : Run MediaCreationTool.exe and set the radio button to Upgrade to this PC now and click Next. Step 3 : Now it will start Downloading Windows 10. Step 4 : Once done Licence Terms windows will appear. Step 5 : Then it will start getting the Updates. 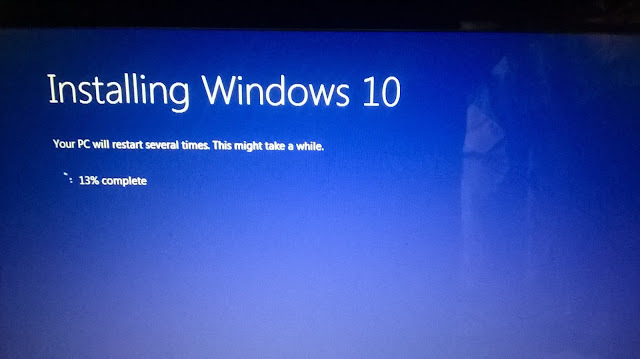 Step 6 : Now Windows 10 is ready to install. Click Install to start Windows 10 installation process. After few restarts Windows 10 will be installed in your system. Please Like and Share the Blog, if you find it interesting and helpful. Increase Ad revenue by using Microsoft's "Ad Mediator"